Keep your skin moistured all the time. 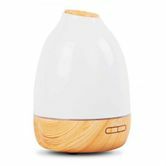 By releasing a large number of anions, it creates reactions with dusts and impurities in the air and in turn purify the air, removing allergies and odours. Combines with your favourite essential oil, it will also assist in cleansing and getting rid of air-borne bacteria. Live in a clean fresh air anytime. Comes with 7 LED colour night light, you can always choose the one you like to end the night with. When it's down to low water level, it'll automatically shut off that makes it safe to use anytime, anywhere. 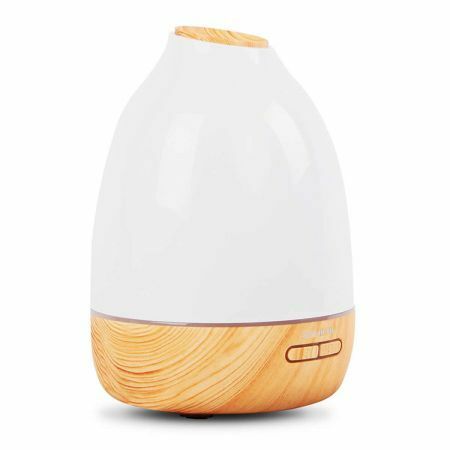 This diffuser is the BEST thing I have bought so far from CrazySales ok Mini DEEBOT is bestcame within 2 days and easy to set up - tip if you dont have essential oils use a tablespoon of undiluted Fabric Softener and the smell wafts through the room.I bought this as I do acrylic nails and the smell of the monomer is so bad that this little beauty is a godsend. It is much bigger than the picture shows it holds 500mls most others do far less. The colour changing LED glow lights are beautiful.